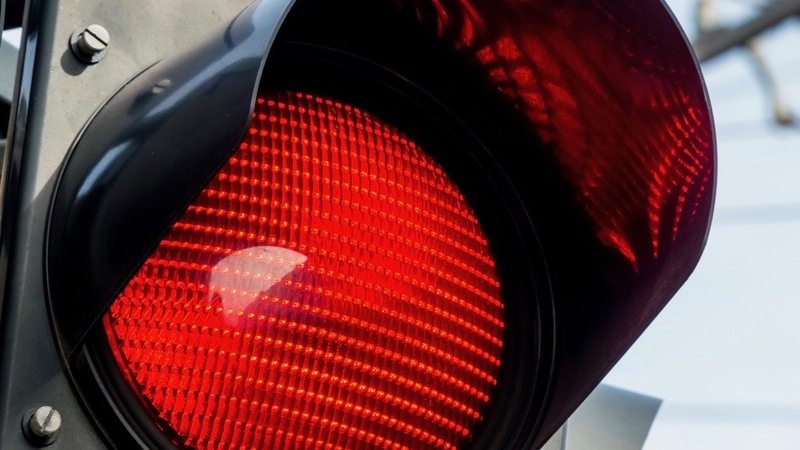 Are recession red lights flashing? Anytime the stock market drops dramatically, investors reach for the antacids, but so do CEOs and business owners. It’s human nature to fear the worst, and there’s no question that a major market correction is a flashing red light. But does a sudden and substantial drop in the stock market, as we experienced in late 2018, always mean we’re heading into a recession? As an economist with a hard-earned Ph.D. from Cambridge, it’s humbling for me to admit how limited our profession can be in forecasting major economic turning points, particularly recessions. I frequently warn CEOs against putting too much faith in the pundits and strategists in the media, because overall, they have a poor track record in predicting the future. Most economic forecasting is not limited because it depends on a flawed theory. Rather, it is limited by a focus on backward-looking data as inputs to forecasts. Nothing is more emblematic of this than the media circus that takes place on the first Friday of each month, after the U.S. Bureau of Labor releases its latest employment report. Media analysts then attempt to divine the future by looking at what happened in the labor market over the previous month, including the revisions to previously reported data. This is like trying to steer a car down a bumpy road by looking in the rear-view mirror! Typically, when most economists do make a correct call, it is about three months before a downturn occurs. While investors can take action in their portfolios immediately, this timeline is too short to be useful to CEOs and businesses owners who need to make strategic decisions that can mitigate risk and capitalize on opportunities. Rather than fixating on prior months’ jobs data or today’s stock prices, we are best served by watching a broader set of capital markets and deciphering the messages they send in real time every day about the future. The prices of stocks, bonds, and commodities all reflect the opinions of thousands of informed investors as they evaluate the worth of current and future fundamentals. This is the most important insight I have come to appreciate over the last 20 years as a trained economist, a professional investor, and a CEO. Capital markets lead the economy, not the other way around. Armed with that understanding, we can more accurately identify signs of a coming downturn far enough in advance to meaningfully and impactfully course correct. Capital markets lead the economy, not the other way around. In truth, economists have similar strengths and limitations as a cardiologist. Neither know the exact date of when a downturn (heart attack) will occur, but both know the set of behaviors that increase the probability of it happening. Balentine has developed and refined a quantitative investment discipline over several market cycles that identifies capital market signals useful for anticipating the future. This objective process allows us to gather a more complete mosaic of evidence, cut through the noise and emotion of the day, and navigate what the future is likely to bring. In short, when the following four indicators are “flashing red,” we anticipate a high likelihood of a recession emerging over the next 12-18 months, just as they did in 1991, 2000, and 2007. The Dow Jones, the NASDAQ, and the S&P 500 are all examples of popular indices that represent a broad basket of stock prices. Bear markets, during which these key indices drop by 20% from their previous peak for three months or more, comprise the first flashing red light that, in combination with other indicators, can signal a recession approaching over the following 12 months. While the emotional and mercurial stock market tends to capture most of the financial media’s attention, the prosaic mathematics of the bond market send a very powerful signal about the future every day in the slope of the yield curve. This metric essentially captures the difference between short-term and long-term interest rates on bonds of the same credit quality. For example, the yield curve is often reported as the difference between the 10-year Treasury bond and the 2-year Treasury bond. Under ordinary conditions, the yield curve has a positive slope, because long-term interest rates exceed short-term interest rates. This is a situation in which the economy is expected to continue to grow. Under these conditions, banks are willing to lend money because their profit model depends on taking deposits in the short-term and paying interest in the long-term. However, when a fast-growing economy looks like it may overheat and cause inflation, the Federal Reserve takes steps to cool it by boosting short-term rates. This makes the yield curve flatten. When short-term rates climb above long-term rates, the bond market foresees that the Federal Reserve will need to cut them again in future as banks will be pulling back on lending as the economy slows dramatically. This inverts the yield curve and slopes it downward. No recession in the United States has occurred over the last 40 years without the yield curve inverting 12- to 18-months beforehand. Near the onset of a downturn, corporate bond markets tend to decline because businesses begin to default on their loans. The riskiness of corporate bonds is reflected in a metric called the credit spread. The credit spread captures the difference in interest rates between low-risk government bonds and high-risk corporate bonds, and reflects the ability of corporate America to finance itself outside of the banking system. Typically, when the economy is healthy, this credit spread across various sectors remains below 500 basis points, or 5% over Treasury bonds of the same maturity. When this indicator ticks above this level, it is a flashing red light that signals corporations are having a harder time securing money and, therefore, have to pay more for it. Memorably, the credit spread ballooned to double digits over the course of 2008, as an economic downturn turned into the Great Financial Crisis and a severe recession. Today, more than half of global gross domestic product (GDP) is generated by the emerging world. That is a significantly larger proportion of global trade and commerce than twenty years ago. In the past, the United States played a leading role in global recessions, but times have changed and we no longer have the luxury of ignoring events abroad. Countries such as China, Brazil, India, and Russia have become the most significant producers and consumers of almost the entire commodity bloc. Commodities are valuable raw materials used in trade and commerce. For example, crude oil, natural gas, nickel, and iron ore are all commodities extremely useful in manufacturing and building. (Gold acts more like a currency than a commodity in this sense.) Copper is useful in so many different industrial applications that its price movement has become known as “Dr. Copper” for its reliability in predicting the direction of the global economy. A strong copper price typically signals a strong period of global economic growth and vice versa. For these reasons, a downturn of 10-15% in commodity prices provides a clear, flashing red light of global and perhaps U.S. economic trouble to come. The current expansion that started in 2009 may soon become the longest period of uninterrupted economic growth in our history, according to data kept by the National Bureau of Economic Research (NBER) going back to the 1850s. There is understandably wide-spread angst that a recession is long overdue. However, expansions are not divinely ordained to die of old age. For CEOs and business owners, it is wise to become a student of the capital markets because they provide the most reliable clues as to when a recession may occur next—and with enough time to adjust business strategy effectively. Information about each of the four capital market indicators is readily accessible and can be tracked daily by the prices reported by the financial media. It’s wise not to rely on any one of these capital market metrics in isolation. But when you’re seeing stock market corrections on the order of 15-20%, an inverted yield curve, credit spreads exceeding 500 basis points, and commodity markets dropping 10-15%, it’s time to sit up and take notice. These four flashing red lights are a sign that you should be preparing your business for winter that could arrive within the next 12-18 months.